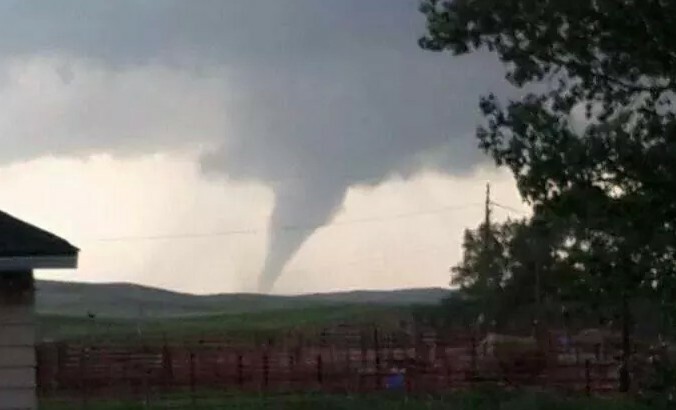 It’s been an interesting storm season in Nebraska this year. It seems like we’ve had quite a few tornadoes than past years. When the twin tornadoes hit Pilger, my heart sank not only for the people I know who lost their homes, but also for those I don’t know. Driving home the weekend after, the road into town was still closed. I saw trash littering fields all through Stanton County. It was heartbreaking to see landscape I know so well look so foreign, and yet I was thankful the storm missed my parent’s farm. It was a little too close for comfort and I would wind up thinking that a couple more times in the following days. This time the tornado passed a mile or so to the North. After I am sure it’s safe, I call Grams. She tells me Dad took the day off to get some farming done. He kept them well informed. They were in the basement cutting up freshly butchered chickens. Safe and sound. It got VERY windy, but everyone was OK and nothing happened. Knock on wood, tornado season is over and I won’t have another mini-heart attack with worry. I’ve had the opportunity to talk with a couple farmers who were affected by the stationary tornado that grinded Cedar County for an hour June 18. (That storm system held over Cedar County for about four hours. At least half a dozen tornadoes were reported that night.) Some farmers were able to replant, others were not as lucky. They are trying to rebuild their entire farms. I know Pilger took the spotlight, and don’t get me wrong, people lost everything and need a lot of help. 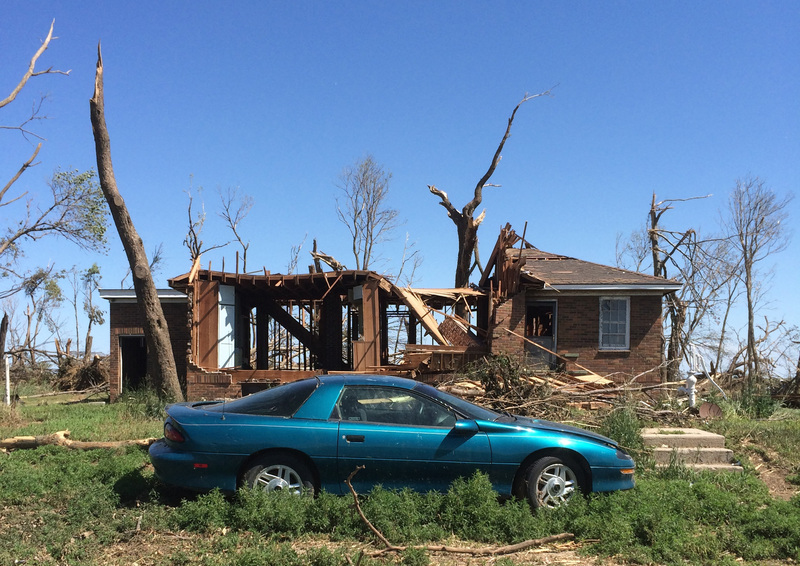 But sometimes tornadoes that hit rural areas are shrugged off and forgotten. I don’t think people realize that damage that is done to farm fields and rural homes. You have to remember, to farmers their land is more than just a home, it is also their business, their livelihood. Now, if a tornado wipes out a town, are victims will be able to qualify for state and even federal aid. Usually, FEMA will assess the damage and if it reaches a certain level, the government steps in to help. This isn’t always the case for farmers. Since the tornado hit only a couple farms, the damage isn’t enough for the federal government to render aid. The state will do their own assessing and may determine to provide aid, but it can be a toss-up. So, that means the farmer is relying on insurance to cover and replace everything, but that coverage may fall short. That’s why the Nebraska Farm Bureau Foundation for Agriculture started the Tornado Disaster Relief Fund. The money will be used to help farmers and ranchers rebuild. They are people who supply food and fuel for all Nebraskans, some of whom have lost not only their homes but their way to make a living.